Topics in these chapters related to New Jerusalem. 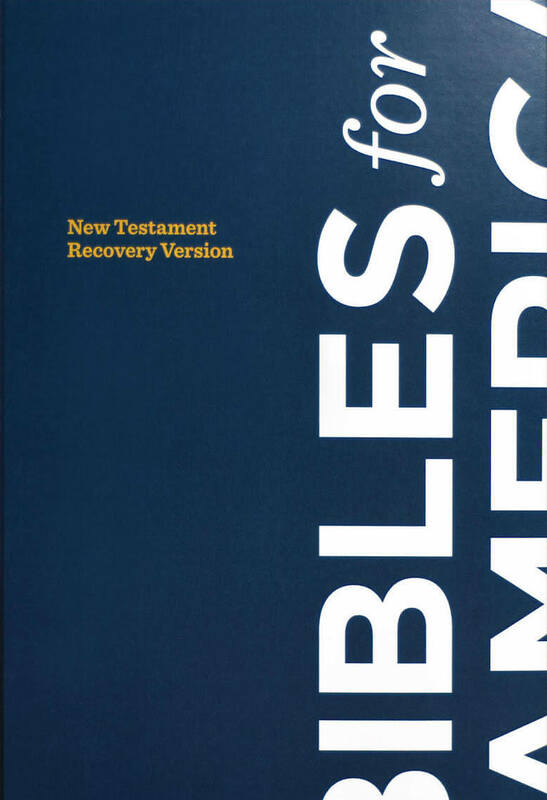 The New Testament begins with repentance and ends with New Jerusalem. These are the two ends of our Christian life. 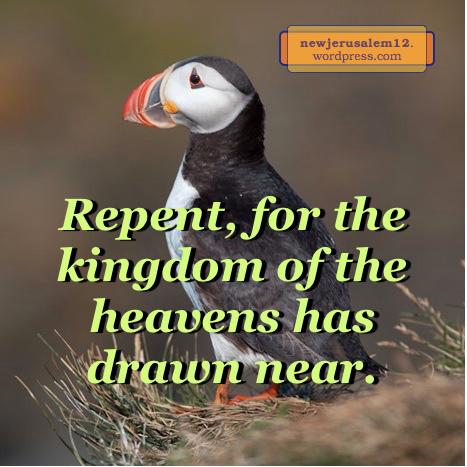 The New Testament begins with a call to repent “for the kingdom of the heavens” (Matt. 3:2), “and believe in the gospel” (Mark 1:15), and “for forgiveness of sins.” (Luke 3:3). When we repent and believe in the Lord Jesus, we are forgiven and we also receive eternal life. These two steps bring us into the kingdom. The New Testament ends with New Jerusalem; at the center of this city is the throne of God and the Lamb from which the river of water of life flows. Here the Lamb is a memorial of our forgiveness, the river is the divine life supply, and the throne indicates the kingdom. Everyone who has been regenerated has had the initial experience of repentance. As we go through our Christian life, we might need more times of repentance. For example, Simon had believed and been baptized (Acts 8:13) but Peter exhorted him to repent. And Paul’s first letter to the Corinthians brought forth repentance among them (2 Cor. 7:9-10). In Revelation 2 and 3 the Lord charges us to repent. This is to return to our best love to Him (2:5), to turn from false teachings and immoral actions (2:16, 22), and to rise out of deadness and lukewarmness (3:3, 19). These needs, or other actions which keep us from the Lord, require our repentance. 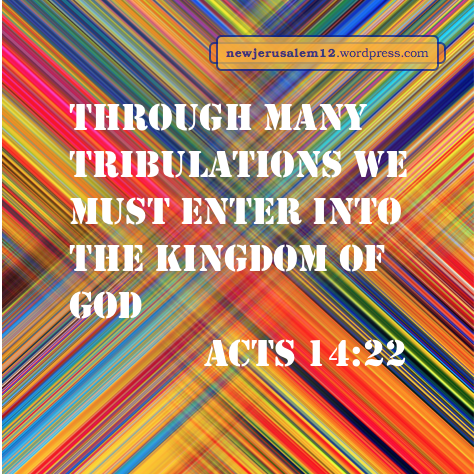 This is part of our journey from initial repentance to New Jerusalem. Photo courtesy of U.S. National Oceanic and Atmospheric Administration. The glory of God illumines New Jerusalem, and its lamp is the Lamb. Hence, “there will be no night there” (Rev. 21:23, 25). This illuminating God in Christ desires to rise today in the hearts of people. The prior post includes Malachi 4:2,”unto you who fear My name will the Sun of righteousness arise.” We do not fear God, who is full of compassion; rather, we fear our disrespect or disobedience of God. With this fear we must depend on the Christ within for our living a proper Christian life. Then the Sun will arise in us now and become brighter all the way to New Jerusalem. 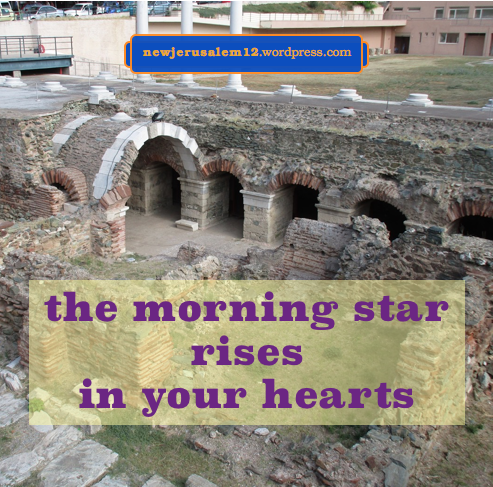 Jesus Christ is “the Morning Star” and will be a reward to all who are faithful to Him in this age (Rev. 2:26, 28). He is also the Sun and will fill New Jerusalem with His shining. Bible © 2017 by Living Stream Ministry. The Old Testament had a physical temple in Jerusalem which persisted into the New Testament age. However, the individual Jesus was the reality of this temple; He was the living temple in John 2. In resurrection He brought all His believers into this reality, this living temple. Now, this temple is growing in the Lord (Eph. 2:20-21) to the maturity of New Jerusalem. 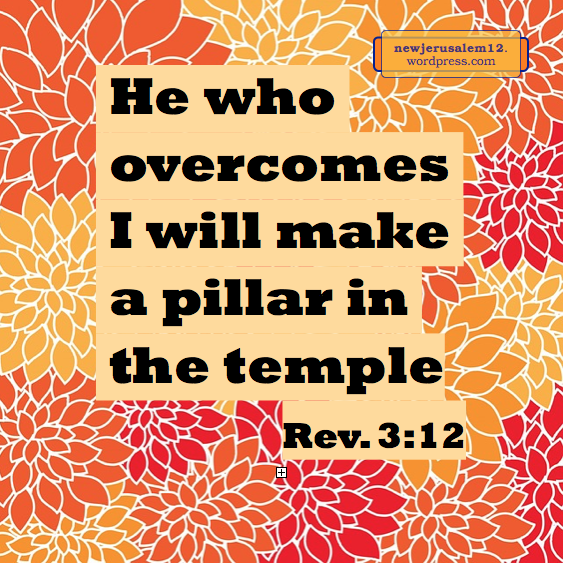 In Revelation 3:12 the Lord promises, “He who overcomes, him I will make a pillar in the temple of My God.” This is another verse showing us that the New Testament temple is a living building. Here is one who not only is “being fitted together” in the temple but even becomes a vital component in the temple. 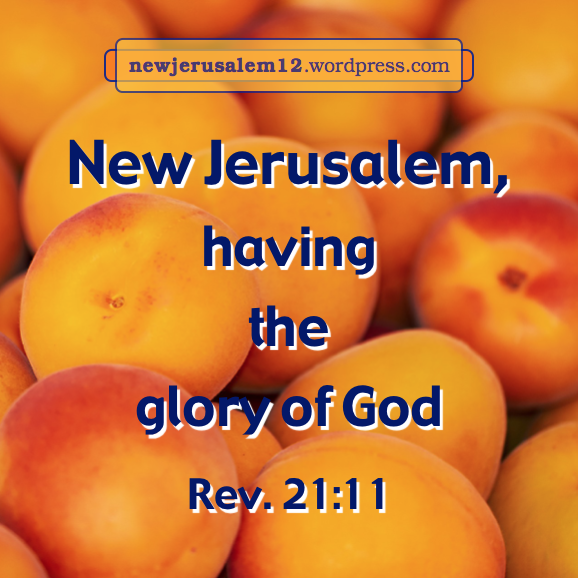 Besides the promise to make the over-comer a pillar, the Lord also promises to write on him the name of His God, the name of the city of His God, the New Jerusalem, and His new name. This shows that the believer who is fully built in is possessed by God, by New Jerusalem, and by the Lord. 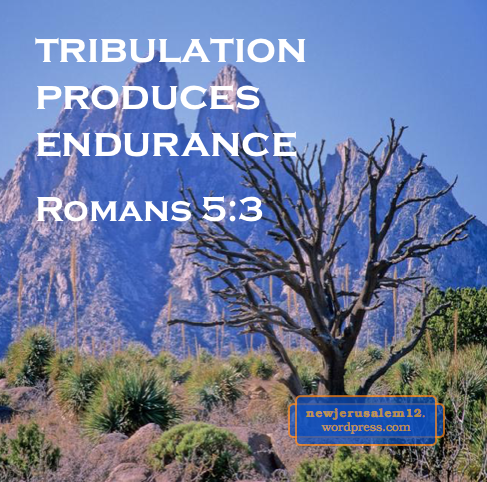 Becoming a pillar and being possessed by the Triune God and New Jerusalem has a base in keeping “the word of My endurance” (Rev. 3:10). 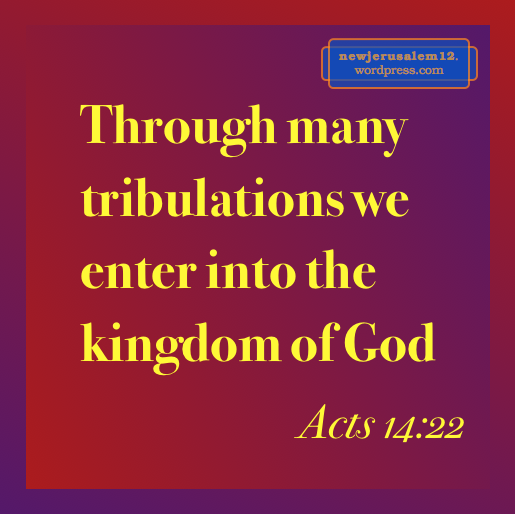 This is to be a “fellow partaker in the tribulation and kingdom and endurance in Jesus” (Rev. 1:9). “In Jesus” is all we need. Let’s “hold fast” (3:11) all that we have in Him. 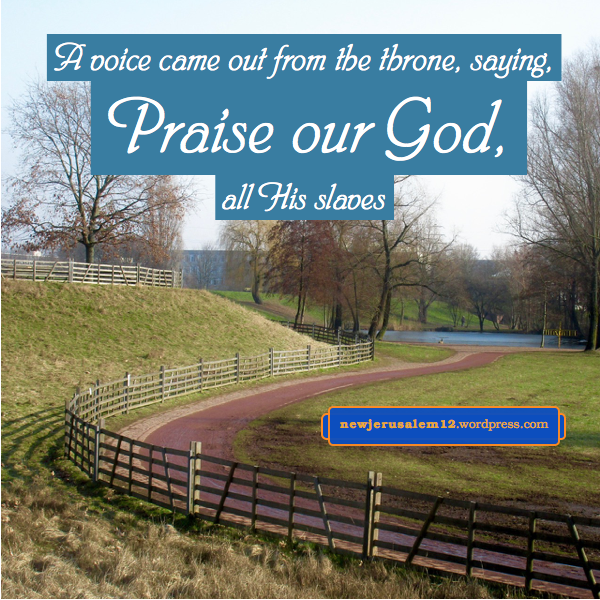 Verses in Revelation 7, 11, 14, 15, and 16 speak about the temple in heaven. This is clearly not an earthly, physical temple. Near the end of this age a new physical temple will be built in earthly Jerusalem. But it will not be eternal, for the Bible does not include it in the description of the new creation and New Jerusalem, where only the living temple will be present. Revelation 1:17b-18: “I am the First and the Last and the living One; and I became dead, and behold, I am living forever and ever; and I have the keys of death and of Hades.” The Lord Jesus is the living One. He entered into death and came forth in resurrection. His living forever and ever is in resurrection. Likewise His reigning forever and ever is in resurrection. 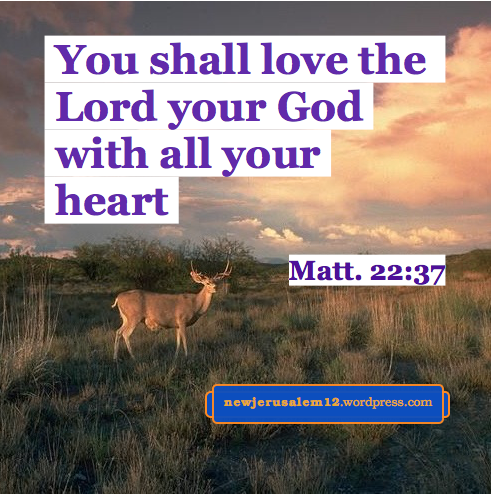 His living and reigning in resurrection are characteristics of New Jerusalem. It is a city in resurrection. Not only our Lord, but also we are in resurrection. 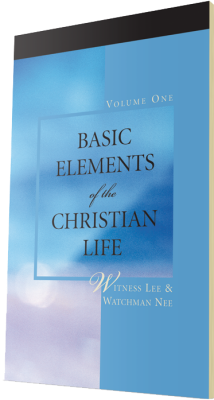 Our natural life has been crucified and buried with Him so that we walk in newness of life (Rom. 6:3-4). In this age we are learning to partake of this spiritual reality; in New Jerusalem we will be fully in newness of life, that is, in resurrection. Revelation 4:9-10: “when the four living creatures give glory and honor and thanks to Him who sits upon the throne, to Him who lives forever and ever, the twenty-four elders will fall before Him who sits upon the throne and worship Him who lives forever and ever…” We too should give glory to Him and worship Him who sits on the throne and lives forever and ever. 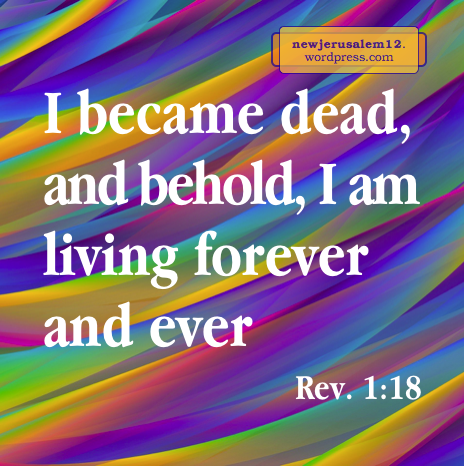 Revelation 10:6 and 15:7 also speak about “Him who lives forever and ever.” His eternal living is our eternal life supply in New Jerusalem—the river of life which flows from the throne and the tree of life it conveys to us. His eternal living in resurrection is for us not only in New Jerusalem but also for today.